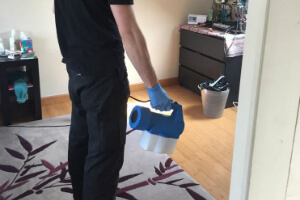 Office & Home Pest Management Twickenham TW | Quality Property Care Ltd. In case you have a problem with pests, Quality Property Care Ltd. is the right pest removal service in Twickenham TW for you. 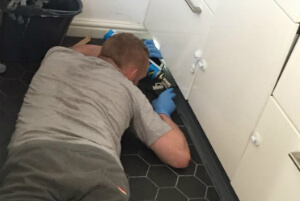 Working in the entire Greater London area, we can guarantee safe results each time you give us a call. We have many years of expertise and will eliminate any unwanted infestation from your residential or commercial property. We get all of our equipment and supplies from licensed suppliers in the UK specialised in PEST control related materials. With more than 15 years of experience, a team of specialists and the proper pest control methods, we guarantee no hassle, no more pests and satisfactory results. We can remove bed bugs, cockroaches, ants, woodworms, fleas, silverfish, wasps, rodents, dust mites, squirrels, moths, rats, pigeons, bee, flies and more. The pest control service is faster and easier if you have called early and the infestation is small enough. But if the rats have already made a nest, we need to approach with a more harsh treatment. Our pest experts locate their entrance points, then eliminate any food leftovers and plug the access points into the property. To catch the rodents the pest control professionals use glue pads and non-lethal traps with decoy food on them. Once set the traps sit for a couple of days. If you’ve booked a follow up procedure the specialists check to see how effective the traps were and remove the pests from your home or office. Otherwise, you might have to do that yourself. Bees, unlike wasps, are useful in farming and nature. For this reason it is illegal to exterminate bees. Quality Property Care Ltd. go the extra step and preserve the bees. To do that we contact a local beekeeper who comes and removes, if possible, the entire nest. He relocates it in its own bee hive somewhere where it’s safer for both pests and property owners. We completely understand how soon you want to forget about dust mites or mice once and for all. This is why to act quickly is one of the things we emphasize on, when it comes to our pest management methods. Our pest control service Twickenham TW takes care of the infestation by incorporating strategies for treatment, prevention and inspection. To order the professional pest control service you need, call 020 3746 4287 or fill in the online booking form right away. The customer assistants will process it instantly. No deposit is needed for booking. No hidden charges, fixed price rates. You will pay after the service has been provided. Remove the annoying and nasty pests, and book your professional pest control service now!